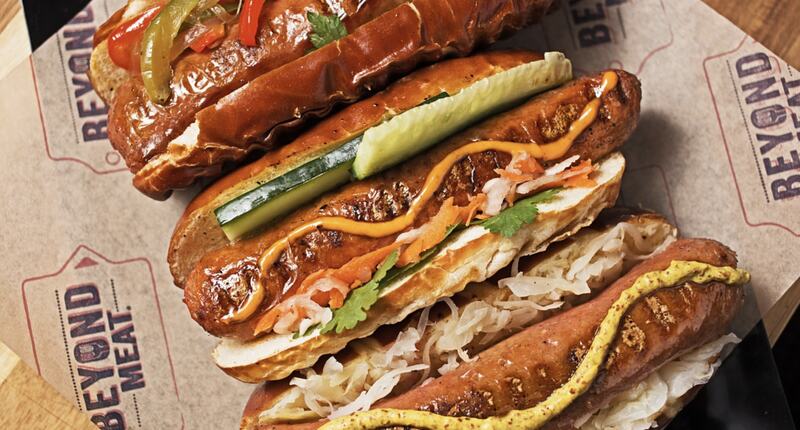 The high-tech vegan Beyond Sausage is set to launch in Europe in 2019, according to startup Beyond Meat. Executive Chairman Seth Goldman revealed the news recently at the Seeds & Chips conference in Milan, a summit on global food innovations. The sausage, which comes in three flavors (bratwurst, sweet Italian, and hot Italian), has no cholesterol, 43 percent less total fat, 38 percent less saturated fat, and 26 percent less sodium than its animal-based equivalent. Speaking about the Beyond Burger's launch in Europe this Summer, Goldman said: "We know this market is very receptive...we're very excited to bring it." He added: "We've got the Beyond Sausage. "That's launched in the United States, that won't make it here until next year - but it's phenomenal."